The Very Rev. Fr. Mikhail Edward Mikhail, D. Min. was born in Cairo, Egypt on August 2, 1949. From an early age, he was active in church life, and was fortunate to have several mentors who clearly influenced his life and guided him to a love for his church and its service. These mentors would all play a role in guiding him to enter the Coptic Orthodox Theological Seminary in Cairo where he would come under the patronage and guidance of his most influential mentor, H. H. Pope Shenouda III, who was Bishop of Christian Education and Dean of the Seminary. He excelled in his studies and in his ministry, building friendships with faculty and students that would last a lifetime. Upon his graduation in 1972, he was assigned as deacon to one of Cairo’s many churches and later sent to New York to be the first deacon to serve in the United States. In the spring of 1974, he married Seham Samuel and on August 23, 1974, was ordained to the priesthood by his teacher and mentor, H.H. Pope Shenouda III at St. Mark Coptic Orthodox Cathedral in Cairo. On April 30, 1975, Fr. Mikhail and his wife Seham, who was six months pregnant with their first child, arrived in Cleveland to begin his new ministry as the first resident pastor of St. Mark Coptic Orthodox Church. In addition, Fr. Mikhail would be given pastoral responsibilities over the smaller Coptic communities in Columbus, Dayton, Cincinnati, Toledo and Youngstown in the State of Ohio, as well as in Pittsburgh, Pennsylvania and Minneapolis-St. Paul, Minnesota. All these communities would in due time receive their own resident priests, all due to the care and ministry of Fr. Mikhail. 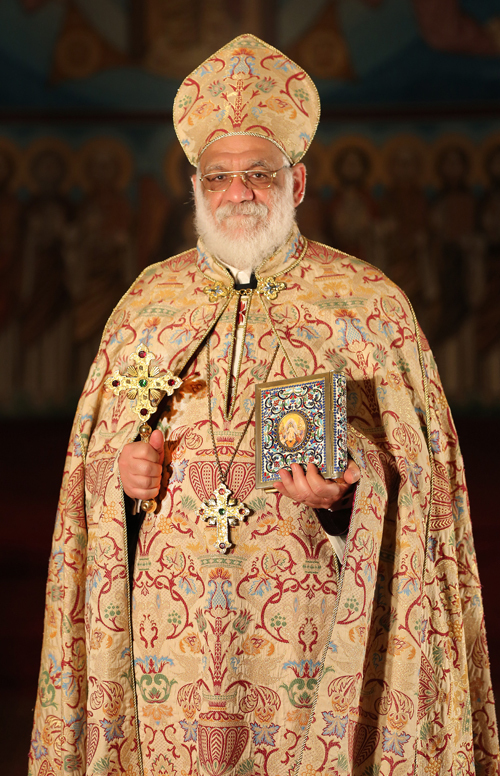 In 1981 he was elevated to the rank of Archpriest by Pope Shenouda. In 1984 he received a Master of Divinity in Pastoral Care and Counseling and in 1986, a Doctorate in Ministry from Ashland Theological Seminary. 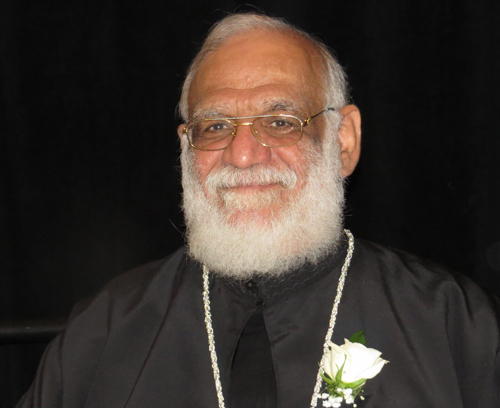 He was instrumental in establishing the first Coptic Theological Seminaries in America in 1989, where he served as dean and professor of New Testament and Pastoral Theology. He is a prolific preacher and writer, having written many books, including Focus on the Coptic Family, St. Mary – the Mother of God, The Greatest Acquaintance Party, 1000 Answers to 100 Questions , A Journey With the Church Fathers Through Lent, Passion Week and Commentaries on the Book of Revelation. Under his pastoral care, the Coptic Orthodox Community in North East Ohio has grown from 50 families in 1975 to over 600 in 2016, with two parishes serving their pastoral and spiritual needs. Fr. Mikhail and his wife Seham are the proud parents of two attorneys; Bishoy (Executive Director of International Development at Cleveland Clinic) and Sherrie Mikhail Miday (attorney at Manley Deas Kochalski and candidate for Common Pleas Court, Cuyahoga County). Together have five grandchildren, three from Sherrie and her husband, Ryan: Athanasius , Mikhaila, Helena; and twin boys from Bishoy and his wife Susan: Theodore and Samuel. 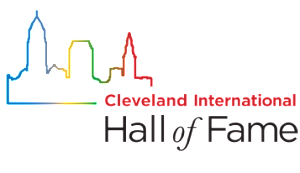 Video 1: Dan Hanson of ClevelandPeople.Com introduced Seven Hills Mayor Richard Dell’Aquila at the induction ceremony for the 2016 class of the Cleveland International Hall of Fame. Dan told of the beautiful St Mark’s Coptic Orthodox Church in Seven Hills and their annual Egyptian Festival before introducing the Mayor. Video 2: Seven Hills Mayor Richard Dell’Aquila introduced and inducted The Very Rev. Fr. Mikhail Edward Mikhail, D. Min. into the 2016 class of the Cleveland International Hall of Fame. Video 3: The Very Rev. Fr. Mikhail Edward Mikhail, D. Min. 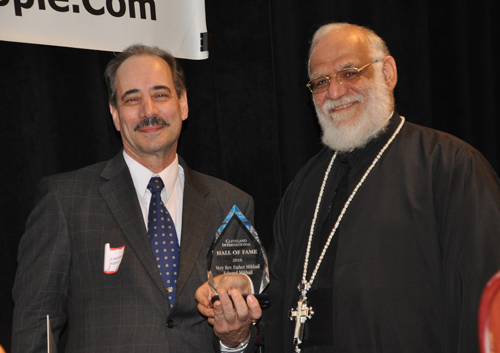 of St Mark Coptic Orthodox Church in Seven Hills was inducted into the Cleveland International Hall of Fame for his many contributions to the Coptic Church and Egyptian community of Cleveland and Northeast Ohio. Video 4: Cleveland International Hall of Fame MC Dan Hanson from ClevelandPeople.Com read part of a proclamation from the Egyptian Embassy in Washington DC. Then members of his parish sang a song in tribute to Fr. Mikhail.